IPCC Climate Change Report makes a strong case for change | Science. Tech. Journalism. 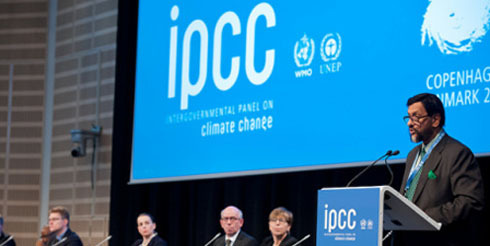 IPCC Climate Change Report makes a strong case for change – Science. Tech. Journalism. The report calls for making changes — and doing it more quickly than planned. While many countries have carbon-reduction plans that aim for 2030 or 2050, the report says that 2020 might be a wiser goal. If we’re not ready until 2030 to implement some serious mitigation techniques, we’d better be really because it will be high time to cut the carbon or see some tangible effects. Denmark, for example, pledged to be fossil-fuel free by 2050 with plans to go 100% renewable. But it will be a tricky transition, since renewable sources are still weather-dependent and energy storage technology is not yet commercially viable. The New York Times reported on U.S. and Chinese estimates as President Obama and President Xi Jinping of China reached a climate agreement this week. Whether Denmark or Denton, Texas, transitioning from carbon-producing fossil-fuels won’t be an easy task. But, IPCC’s report urges, we must find ways if we want a sustainable future for posterity, er – ourselves a decade or two from now. This entry was posted in Energy, Energy & Environment, Environment, Research. Bookmark the permalink.